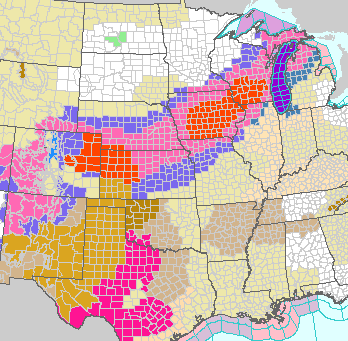 The blizzard warnings have been expanded into the Upper Midwest. 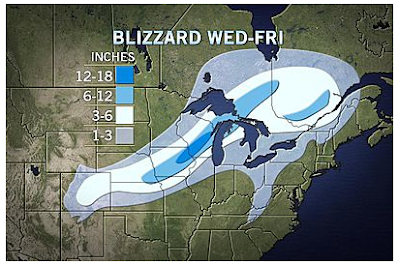 Here is our forecast of snow amounts but -- with winds gusting to 35 to 50 mph -- there will be severe drifting of the snow. The brown and maroon areas are where high winds with gusts to 50 mph are expected along with blowing dust and high wildfire danger. The storm is just getting started east of the Rockies. 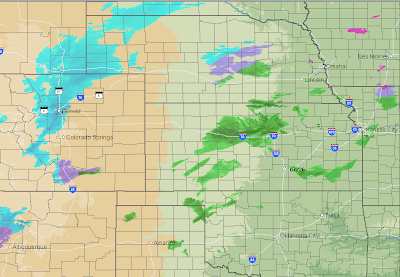 AccuWeather Regional Radar at 7:15 am CST shows the snow in shades of blue with the darker blue = heavier rates of falling snow. 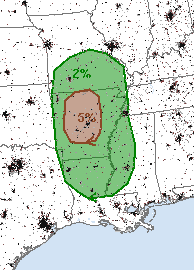 And, late today and tonight, there is a localized threat of tornadoes with 5% the significant threshold. 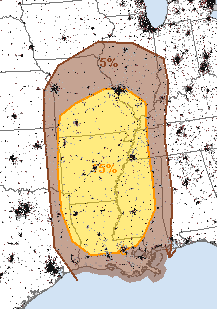 There is a larger threat of damaging thunderstorm winds with 15% the significant threshold.